LONDON, Sporting Alert – Midfielder Philippe Coutinho start for Liverpool against Tottenham in the early English Premier League kick-off this morning. Coutinho was listed as a doubt for the trip to White Hart Lane because of a hamstring problem, but got through a fitness and was named in Jurgen Klopp’s starting XI. The Brazilian, who missed the midweek 5-0 victory over Burton Albion in the league cup, returns to will link up with Sadio Mane in support of Roberto Firmino, who will start as the main attacker. Meanwhile, Joel Matip makes his English Premier League debut for Liverpool and will start alongside Dejan Lovren in the heart of the defence. Nathaniel Clyne and James Milner complete the back four. In the meantime, Tottenham manager Mauricio Pochettino has paired Eric Dier and Victor Wanyama in the centre of his midfield, while Dele Alli returns from illness to start. Erik Lamela and Christian Eriksen will play supporting roles to Harry Kane, who starts further up the pitch today. Midfielder Mousa Dembele is suspended and captain and No. 1 Hugo Lloris remains out with a hamstring problem, meaning Michel Vorm continues in goal. Tottenham have not beaten Liverpool in nearly four years and manager Pochettino is hoping his team can break that trend in this kick-off. 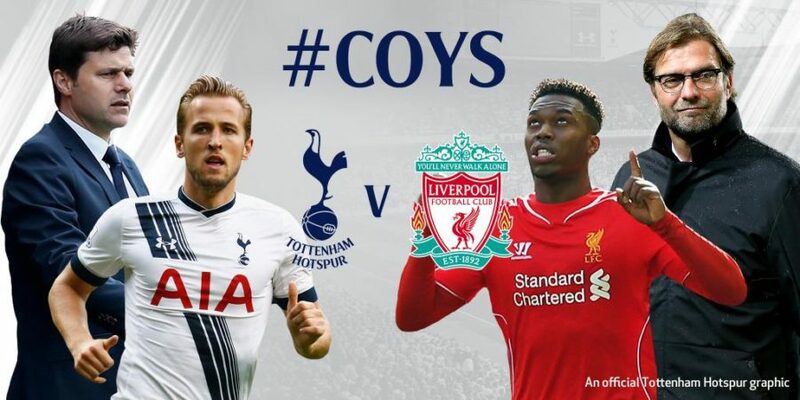 Spurs last beat Liverpool in November 2012, while the last two meetings last season ended in 0-0 and 1-1 draws. Among the substitutes today for Liverpool are Divock Origi, who suffered a bit of a cramp in midweek, but is good to go, as well as England striker Daniel Sturridge, Marko Grujic, Alberto Moreno and Lucas. Game time for Saturday morning clash is 7:30 am and it will be streaming live in the US on NBCSN and its platforms, including NBC Sports Live, as well as LFCTV GO and television coverage on Sky Sports 1/HD for the viewers living in the UK.